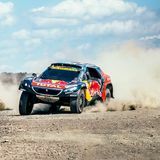 In summer in New Zealand the calendar is jam-packed with motorsport and events for fans of classic and vintage vehicles. But throughout the whole year the country’s racetracks and showgrounds are often full of petrolheads keen to check out the best imported vehicles. So whether you’re keen to show your newly imported vehicle, or even if you want to check out some of the beautiful vehicles already in our country, here’s our run-down of the pick of the events for the next six months. Highlands Festival of Speed at Highlands Motorsport Park, Cromwell. Fri 30 Jan – Sun 01 Feb. The second annual event includes a headline act of an invitational field of Aussie touring car masters taking on Kiwi Central Muscle Cars in a trans-Tasman battle featuring Falcon GT, Boss Muustang, Chev Camaro, Chrysler Charger, Holden Monaro and Holden Torana. There will also be racing from modern and classic saloons, vintage and classic single-seaters, Formula Libre open-wheelers and the small-but-speedy Aussie racing Cars. NZ Motor Cup at Hampton Downs, Waikato. Fri 30 Jan to Sun 01 Feb ’15. The event dates back to 1921 when it was competed for annually over a 50-mile race called the Australasian Beach Championship. This year the Toyota Racing Series comes to the North Island for the first time – support classes will include V8 SuperTourers, Porsche, Forula First, Ssanyong Actyon Utes and SuperMini. NZ Super Trucks at Timaru International Raceway. Fri 30 Jan to Sun 01 Feb ’15. Leadfoot Festival, Hahei, Coromandel. Fri 6 Feb to Sun, 8 Feb.
A mix of classic cars, vintage motorcycles and motorsport legends in unique races around the 150-acre, ocean-front Leadfoot Ranch. 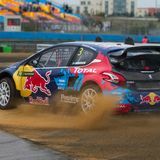 A chance to see some of the world’s finest competition cars and motorcyles driven and displayed by hand-picked championship racers from around the world. Visitors are invited to dress in period style clothing stepping back in time making the Leadfoot Festival an incredible family experience and a true celebration of motorsports and all things automotive. From classic formula and road race cars to off-road machines and motorcycles, the Leadfoot Festival attracts drivers, riders and race vehicles reminiscent of many eras in an enthusiastic display of speed, style, sound, smell and colour. Skope Classic, Mike Pero Motorsport Park, Ruapuna. Fri 6 Feb to Sun, 8 Feb. 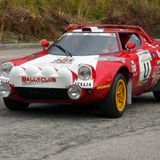 The 13th running of the event will feature racing involving more than 250 vintage, classic and historic cars as well as a chance for enthusiasts to get up close to the vehicles and the drivers to learn more about the cars’ histories. Highlights include the Sir Robertson Stewart Grand Prix for powerful saloon cars, NZ Pre-65 racing involving 4-cylinder Anglias and Cortinas as well as V8 Fords and Mustangs, historic touring cars, Mainland Muscle and historic OSCA and Sportscars and single-seaters. MotorSportNZ Championshiop round 4 at Taupo Motorsport Park. Fri 6 Feb to Sun, 8 Feb.
New Zealand Classic Car Show at Ellerslie Race Course, Auckland. Sat 7 Feb to Sun 8 Feb. The weekend starts on the Saturday with six tours around Auckland organised by the MG Car Club, but open to all and billed as Meguiar’s Classic Car Tour d’Elegance. The Sunday will feature the Classic Car Concours with team, individual and club competitions and a new Survivor’s class and is open to the public. All Aussie Car Day at Manfeild, Feilding. Sat 7 Feb.
A car show displaying Australian Cars in aid of The Starship Fouundation. Nelson Motor Show at Tahuna Beach Holiday Park. Fri 13 Feb to Sun 15 Feb. The 60th New Zealand Grand Prix at Manfeild, Feilding. Fri 13 Feb to Sun 15 Feb.
Friday is test day, with racing Saturday and Sunday to feature 20 Toyota Racing Series Drivers, NZ V8 Touring Cars, Toyota Finance 86, NZ Formula Ford, Formula Firsts, Formula 5000 and Central Muscle Cars. Rickenbacker Car Display at Warbirds & Wheels, Wanaka. Sun 15 Feb to Sun 22 Feb.
Get the chance to see a rare 1924 Model C Rickenbacker Roadster (the only Rickenbacker outside of America). One of only 101 ever made, the six cylinder Rickenbacker automobile is unique as it was the first car model to have four wheel brakes, quite unusual in 1924 and is a right hand drive – believed to have been the only one of its kind made. Ardmore Showdown – Wings Vs Wheels at Ardmore Airport, Papakura. Sun Feb 15. Get the chance to watch drag racers take on a jet plane and cars race helicopters as well as stunt shows, drag races and a classic car show. Otaua Hillclimb at South Head, Auckland. Sun 22 Feb.
Organised by the MG Car Club the event is a sealed hillclimb of approximately 1.3kms on a closed road. Motorsport clubsport licence required as minimum. Helmet and overalls required for each driver. Americarna at New Plymouth. Thurs 26 Feb to Sat 28 Feb. Celebrate American hotrods with a series of cruises and Show and Shine Parties in Waitara, Opunake and Hawera ending in a large carnival in New Plymouth on the Saturday. The 20th biennial Pre56 MG National Rally in Greymouth, West Coast, Sat Feb 28 – Mar 4. Rally for any MG built before 1956. Cannonball Run 2015. Sat 28 Feb.
Starts at Hooton Reserve in Albany – a day full of entertainment and challenges. Southward Car Museum Annual Open House. Sun Mar 1. A rare chance to go behind the scenes and see some of the world’s rarest vehicles and visit the workshops where the cars and motorcycles are restored and maintainedgo into the storage sheds to see some of the museum’s future exhibits. The museum will be the end point to the Triangular Veteran Rally where you can get up close to these near 100 year old cars. All Ford Day Car Show at Mt Maunganui. Sun Mar 1. 16th Annual Ford Vehicle show for the Ford vehicle owners. Prize-giving for vehicle entrants at 3.00pm. Vintage Car Club Commmercial Rally, Coach House Museum, Feilding. Tues Mar 3 – Fri Mar 6. Vintage Car Club of NZ’s fifth National Commercial Vehicle Rally includes a rally on Saturday 4th to Woodville. Display at The Coach House Museum on Sunday with tours to local places of interest. Targa Sprint in Auckland. Sun Mar 8. The Great Wellington Truck Show at Trentham Memorial Park, Upper Hutt. Sun Mar 8. Truck and vehicle display including 100 big rigs plus exotic cars and demonstrations of transport systems. Thames Heritage Week. Fri Mar 13 to Sun Mar 22. Run alongside the Thames Valley Vintage and Classic Car Club, the opening car parade will be help on Saturday March 14 and the Motorama display will feature pre-1980 American, Australian, British and European vehicles. Day in the Dirt at Ellesmere Raceway, Leeston, Canterbury. Sun Mar 22. The 5th Annual Vintage Speedway & Hot Rod Day-In-The-Dirt hosted by the Canterbury Vintage Speedway Enthusiasts Club offers a chance for all classes of motor vehicles to enjoy running on the speedway circuit. It caters for hot rods, rat rods, vintage cars, vintage race cars, vintage speedway classes, motorbikes and more. Waiatamata Vintage Car Club’s Roycroft meeting at Hampton Downs, Waikato. Sat Mar 14 to Sun Mar 15. Classes will include Vintage cars Pre 1960, Formula Junior, Pre 61 Saloons. Auckland Car Club Round 5 at Pukakohe. Sun Mar 15. Classes include classic Japanese, Northern Muscle, Production Muscle Cars, Standard Production, Racing Saloons and Clubman Sports Cars. Bayswater Auto Show and Family Fun Day, Auckland. Sun Mar 15. More than 150 specialty vehicles including vintage, exotics, kitcars, hotrods, Harley Davidson motorcycles, Big-Rigs, and possibly some military vehicles. All exhibitors are in the running to win a custom trophy, and this year back by popular demand there is a trophy for the best car club display. Mid-Summer Thunder. IRC Round 5 at Hampton Downs, Waikato. Sat Mar 21 to Sun Mar 22. Classes include Porsche, GT1, GT2, Super GT, Mini Star Cars, Super Six, MX5, Pro Seven, Formula First, Pre 65 and SS2000. Maramarua rally in the Maramarua Forest. Sat 28 Mar to Sun 29 Mar. Legends of Speed at Hampton Downs, Waikato. Sat 28 Mar to Sun 29 Mar. Includes classes: BMW E30, BMW Open, Historic Muscle Car/Pre78, Historic Formula Ford, Formula Libre, Historic Sports sesdans, ERC/Arrows, Trofeo, Classic Trail, Formula Junior, Formula Ford National Champs. IRC Round 6 at Taupo. Sat 4 Apr to Sun 5 Apr. Sports Car Club of NZ Easter Sprint at Pukekohe. Sun 5 Apr. Auckland Car Club Round 6 Hampton Downs. Sun 12 Apr. V8 Supercars at Pukekohe – NZIGP. Fri 24 Apr to Sun 26 Apr. All the famous names – and of course that Holden v Ford rivalry – return to the ITM 500 Auckland V8 Supercars at Pukekohe Park Raceway with support classes including GT Sports Sedans, Muscle Cars, Super Tourers, NZV8 Utes, MZV8 Touring Cars and Beach Hop Cars. 2K Cup Master at Hampton Downs – NZRDL. Sat 2 May to Sun 3 May. The 2K Cup, Honda Cup, Rotary Enthusiasts, Super Lap, Sports cars and Super Karts. Rally of Otago in Dunedin. Fri 08 May to Sun 10 May. Targa Rotorua. Fri 15 May to Sun 17 May. North Island Endurance Series Round 1 at Pukekohe Fri 15 May to Sat 16 May. Canterbury Rally. Sat 30 May to Sun 31 May. Mid Winter Rod Run at Cromwell. Sat 30 May to Sun 1 Jun. The Queen’s Birthday Weekend event includes track time at Highlands Motorsport Park. Possum Bourne Memorial Rally at Pukekohe. Sat 06 Jun ‘to Sun 07 Jun. Event still to be confirmed. Gisborne Rally. Sat 27 Jun to Sun 28 Jun. Brass Monkey at Hampton Downs. Sun 5 July. Includes time groups, Single Seaters and Classic Trial. North Island Endurance Series Round 3 Hampton Downs NZRDL. Sat 24 July to Sun 25 July. Born in the US, dirt track racing also has a faithful following in Australia and a multitute of races that you can attend every year. Rally cars are often full of good surprises once taken into the real world. With decent trunk and legroom, and four doors, they are both powerful and practical. Now that summer is over and we have nothing but wet days ahead for us, a bit of escapism is in order. All you need to do is hop to the northern hemisphere for your second helping of good weather and the chance to see amazing classic cars, motorbikes and racing cars, and meet like-minded people in the best motoring events the world has to offer. 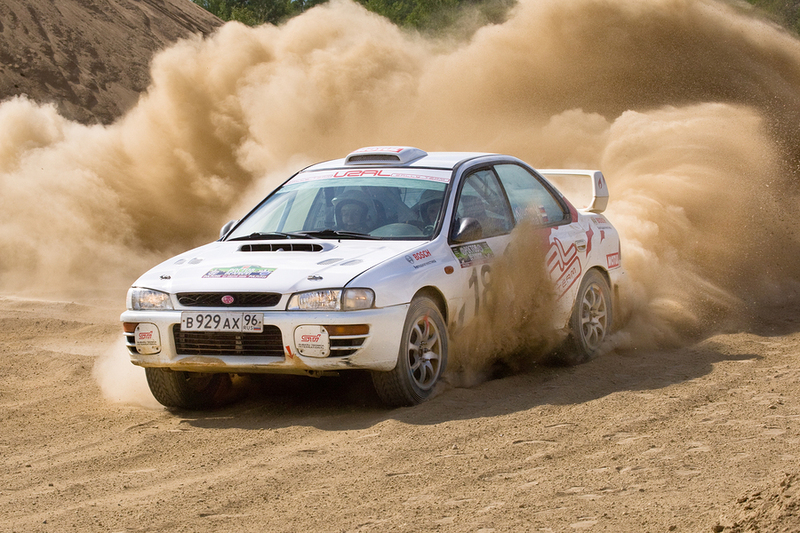 There is always an element of danger in rallies and car racing but some are definitely more dangerous than others. Find out which ones.